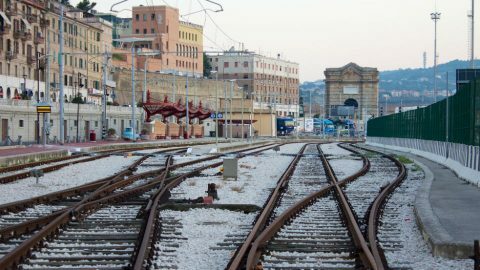 Terminal capacity in Europe is requested after a train path is allocated, while terminal access is often the bottleneck in the transport chain. An integrated offer requesting capacity on both should make rail freight more efficient. A pilot of such offer is currently carried out on the Scandanavian Meditarranean Rail Freight Corridor. Stephan Noll, Manager Corridor of the One-Stop-Shop at this corridor will present the pilot in a workshop on 27 March, at the Freight & Terminal Forum. Besides an explanation of the different pilot levels and applied process, he is asking for feedback from the industry in a discussion. 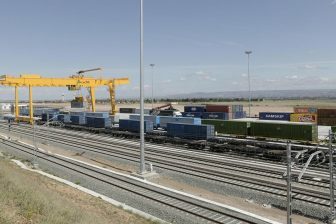 As part of a pilot project and with the scope of moving towards an integrated offer, the Scandinavian Mediterranean Rail Freight Corridor currently runs a terminal pilot project with several terminals. 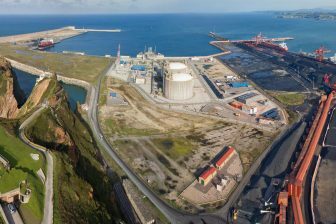 The Alnebru terminal in Norway, the Port of Duisburg in Germany and the Port of La Spezia and Interporto di Bologna in Italy are participating in the pilot. “Within this pilot, it is possible to request international rail freight capacity (PaPs) with terminal slots in one single process. The pilot consists of several levels, which depend on each other and differ in terms of commitment, obligations and responsibilities for all involved parties”, Noll explained. In the pilot period, terminal capacity was allocated completely in line with the distribution of the PaP’s, meaning that it could be requested at the same time, or at least while taking into account the train path requests as both products are publicly available. This should reduce existing bottlenecks, the team believes. “If no access to the terminal capacity can be found, this leads to path cancellation/modification”, they described. Despite this effort, the pilot project has not achieved much success. No such requests were placed during the pilot. This could be explained as it is still unfamiliar. The request has to be done through an interface, called PCS. “It remains a fact that the use of PCS requires more effort from the customer than merely placing a national request, especially in the (most widespread) case where the client only requests capacity for one or maximum two infrastructure managers”, the team described. The overall use of one capacity ordering tool for international freight is a key element if the corridors want to reach their full potential, the team believes. “Today, the only available tool for this is PCS. However, if we want to reach our goal with PCS, or any other tool, the existence of functional interfaces between the international platform and all national construction systems is critically needed. A long term objective should be the design of a single and common European capacity ordering tool, used for all capacity requests”, they conclude.